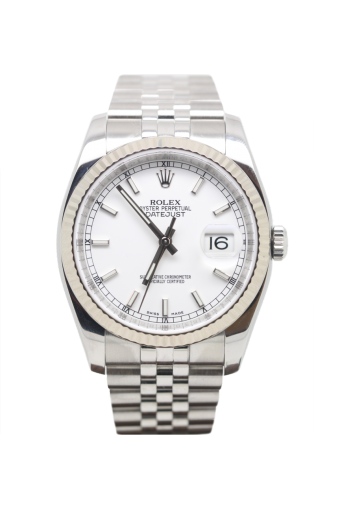 This stunning pre owned Rolex Datejust has a 36mm watch case made from polished steel and a fluted 18ct white gold bezel mated to a steel jubilee bracelet. Whilst the dial is china white with index hour markers. Cheshire Watch Company are supplying this watch complete with all boxes and paperwork which is dated 2014.